Island Style Bedding Sets for relaxed comfort. Transform your room with ease. Create an elegant ambience in any room with the Damask Designs Engraved Flower bedding collection from Charter Club, featuring the soft touch of cotton and a classic floral design. Styled with a stark black ground brought to life with a striking floral-print pattern, the Damask Designs Pressed Floral bedding collection from Charter Club lends a touch of contemporary charm to any bedroom's decor. Create a relaxed look in your room with the Watercolor Leaf bedding collection from Charter Club, featuring the soft touch of cotton and a fresh floral print. Inject colorful charm to your bedroom with the Damask Designs Sketch bedding collection from Charter Club, featuring a floral pattern and a soothing periwinkle ground. Bring detailed charm to your bedroom with the Damask Designs Embroidered Lattice bedding collection, featuring the soft touch of cotton and the intricate beauty of embroidered stripes atop a navy ground. Create a relaxed sleeping environment in your room with the Damask Designs Painted Plaid bedding collection from Charter Club, featuring a beautiful plaid pattern in blue tones paired with the soft touch of a 300-thread count pima cotton fabric, making this a soothing addition to any bedroom. Add cheer to your room with the Damask Designs Bouquet bedding collection from Charter Club, featuring an allover multicolored floral pattern and the luxe softness of pima cotton. Add floral charm to your room with the Damask Designs Palm bedding collection, featuring a stylish palm print in white and green tones and the soft touch of 300-thread count pima cotton, making this the perfect choice for updating your decor. With a fashionable paisley pattern and gray ground, the Damask Designs Stone Paisley bedding collection by Charter Club also provides the superior comfort of pima cotton. The crisp pima cotton and modern damask-inspired print of the Damask Designs Smoke bedding collection from Charter Club add cozy comfort and contemporary appeal to any bedroom setting. Give your room a bright and airy feel with the charming style of this Damask Designs bedding collection from Charter Club, featuring cozy 300-thread-count Pima cotton grounds with a rich buttery tone and contrast floral accents. Get the look and make it unique. Start with a bold color block pattern and toss in some fun, decorative pillows and finish with solid or printed sheets for a mix that makes the match from our Damask Designs Collection from Charter Club. Add luxurious comfort to your bedroom with the Damask Designs Seersucker bedding collection from Charter Club, featuring the cozy textured feel of cotton seersucker and a classic striped design in white and gray tones. Create a bold contemporary look and feel in any bedroom setting with the super-soft pima cotton and modern medallion print of this Damask Designs navy bedding collection from Charter Club Add breathtaking style to any room with the Damask Designs Tile Geo bedding collection from Charter Club, featuring a stylish quatrefoil design, pale French blue tones, and a luxuriously soft pima cotton fabric. Create a new, relaxed look in your room with the Damask Designs Basket Stripe bedding collection from Charter Club, featuring a soft woven fabric and a delightful stripe pattern for added style. Featuring an attractive jacquard weave, the Damask Designs Diamond Dot bedding collection from Charter Club will add a luxe look to any room Get the look and make it modern. Start with a striking geometric pattern and toss in some fun, decorative pillows and finish with solid or printed sheets for a mix that makes the match from our Damask Designs Collection from Charter Club. Majestic watercolor paisleys in shades of purple dance across the Jessica Simpson Jacky Comforter Set, an accented pieced border and a jeweled trellis motif on the reverse makes this a stunning piece for your living space. Countryside flowers and vines in watercolor hues of indigo and red are complimented by intricate borders and medallions, the Jessica Simpson cotton sateen Verbena Comforter Set is a stunning and artistic piece for any bedroom. Add vibrant color and luxe comfort to your room with the Lola quilt and sham collection from Jessica Simpson, featuring cotton quilting, floral patterns and a purple ground. For rustic charm with a hippy-chic appeal, the white ground with black and multicolor prints in the Aiah quilt and sham collection from Jessica Simpson help bring a peaceful aesthetic to your bedroom. Put a peaceful finish on your bedding ensemble with the fresh pops of color and blocked floral, paisley and geometric prints of this chic Boho Garden Quilted Bedding Collection from Jessica Simpson. 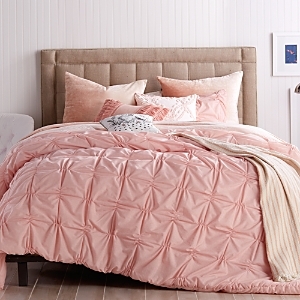 Add some rustic charm to your room's décor with the Tika reversible quilt and sham collection from Jessica Simpson, featuring soft quilted cotton finished with a multi-coral-and-pink, patchwork-inspired design. Majestic paisleys bloom in a festival of blue, coral red and citron on this original Jessica Simpson Valdivia Comforter for a boho luxe vibe. A perfect balance of pattern mixing is achieved in the Puebla Comforter by Jessica Simpson, inspired by medallion and floral motifs from clay tiles this piece is easy to love throughout the seasons. Vintage washed roses and stripes come together in this Jessica Simpson comforter set for a casually feminine bedroom look. Dreamy global cotton prints are pieced together in the Jessica Simpson Bonita Quilt for a soft boho look. A flea market mix of cotton prints are all pieced together in the Jessica Simpson Talca Quilt for a casual and harmonious boho vibe. Capturing the island vibe the Jessica Simpson Salina Quilt features a collection of paisley and medallion prints pieced together in a watercolor palette of coral and clear water blue. Dreamworld: found. Discover where vintage meets modern in this cozy linen set, featuring a delicately inviting sculpted pattern that is equal parts bespoke and quintessentially classic. In a soft, subtle and neutral color scheme, this Microsculpt comforter comes in your choice of full/queen or king sizes, promising to delight your sense of style - and your dreams - with ease. Cuddle up in dreamy fabrics and texture with the Peri Home Check Smocked bedding collection. The light hues with intricate smocked detail give this collection an irresistibly comfy look for a bed that looks great even when unmade. Delight in the comfort of style with the whimsical grey and white Blockprint Floral Quilt. Conversely contemporary this beautiful design is inspired by a traditional Indian block print. Made from 100% cotton, this quilt offers a color pairing that is versatile and easy to style, quickly proving an effortlessly chic centerpiece to any bedroom. Choose between sizes full/queen and king for a look that's intricately elegant. Matching shams sold separately. Palm trees are said to signify peace, triumph and eternal life, so it's only natural that you would want to go to sleep and wake up with them in plain view. Inspired by traditional Indian motifs the textural elements of the quilt and the vivacious boho palm tree print will have you delighted to cover your bed in an oasis of relaxation. Coordinate with matching shams sold separately. Adorned with a tufted geometric jacquard against lavish cotton fabric, the Cut Geo Bedding Collection from Peri Home creates a stylish focal point, yet remains cozy enough to doze off against. Add charming texture to your room with the Chenille Lattice bedroom collection from Peri Home, featuring the soft touch of cotton fabric coupled with cozy chenille for luxe results. The Peri Home Chenille Lattice Bedding Collection offers a striking ensemble of duvet and comforters accented with plush pillow shams for the ultimate experience of rest and relaxation. Complete with charming patterns and textures, the collections boasts classic chenille construction for a soft, luxurious feel. The Peri Home Puckered Stripe Bedding Collection gives a refined look to your bedroom. The puckered 100% woven cotton stripe lends an edge of detail with the puckered design on clean pin stripes. Dress up the duvet with Peri Home pillows for a complete look. Indulge in the soft pleasures of this exquisitely ethereal chenille tufted comforter set in muted grey tones. A modern take on a traditional texture with this vintage-inspired bedroom essential, proof that you can always find comfort in cozy. Choose between sizes full/queen and king for a look that's rosy, refined and ready for resting. Create a fresh, textured look in your room with the Matelasse Medallion bedding collection from Peri Home, featuring a detailed medallion design and the rich feel of cotton fabric. Unfussy yet entirely refined, this set of linens is complete with a delicately raised knit pattern that softly portrays pastel petals and invites you to relax in its uncomplicated sanctuary of style. Its blush-hued texture boasts a bold sense of sophistication and effortless charm. This comforter set comes in sizes full/queen or king, your room will be ready for sweet sleeps in no time Create a contemporary chic decor in your room with the Stripe Fringe bedding collection from Peri Home, featuring soft cotton fabric and a stripe design with frayed accents atop a blue ground for cozy relaxation. Update your room in textured comfort with the Dot Fringe bedding collection from Peri Home, featuring the soft touch of cotton, tufted dots and a white ground for luxe relaxation. Add luxurious comfort to your room with the Chenille Scallop bedding collection from Peri, featuring the soft touch of cotton accentuated by chenille textures atop a light pink ground. Add flair to your room with the Triangle Smocked bedding collection from Peri Home, featuring the soft touch of cotton fabric and a relaxed medium beige ground. Create a textured decor with the Cut Geo bedding collection from Peri Home, featuring tufted geometric jacquard, the soft touch of cotton and a relaxed light purple ground for fresh style.